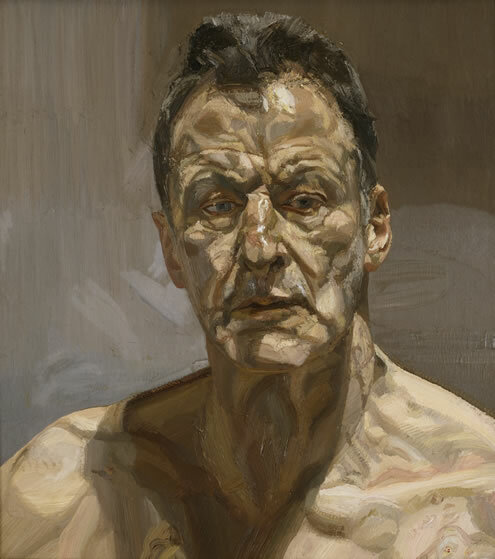 Lucian Freud, Reflection (Self-portrait), 1985 Private Collection, Ireland © The Lucian Freud Archive. 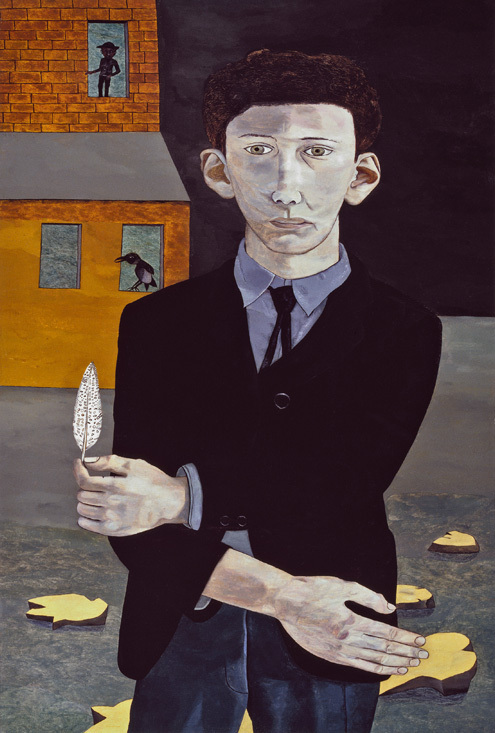 Photo: Lucian Freud Archive. 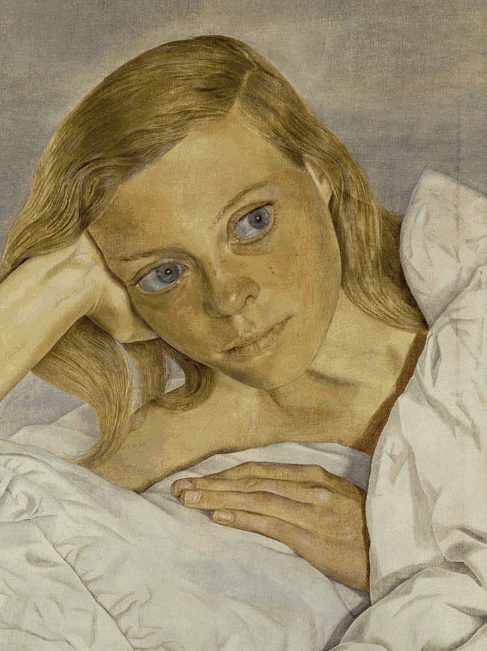 Lucian Freud, Girl in Bed, 1952, Private Collection, © The Lucian Freud Archive. 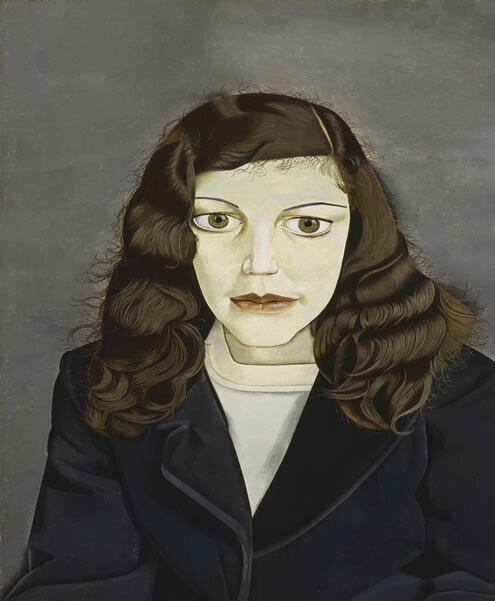 Photo: Lucian Freud Archive. 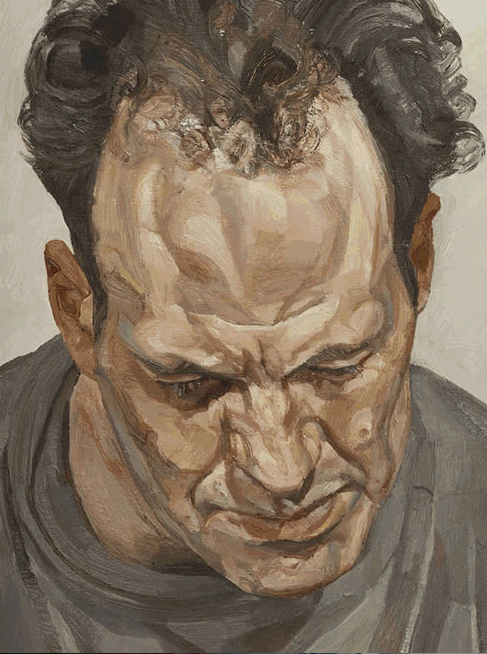 Lucian Freud, Frank Auerbach, 1975-6, Private Collection, © The Lucian Freud Archive. Photo: Lucian Freud Archive.